The initial chapter of any dissertation is its introduction. This chapter sets the stage for all materials that will appear in following chapters. It should never be mistaken for a creative writing assignment and should be heavily substantiated. The introduction chapter of a dissertation should be heavy with transitional words and sentences that flow from one to the next. The objective is to allow readers to follow the writer's thinking and anticipate what should be followed in the other chapters of the document. 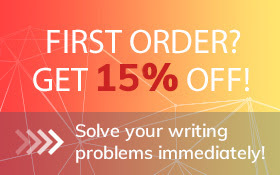 Since the dissertation introduction chapter is such an important element of the paper, it is a good idea to seek out the professional assistance offered by Top-Dissertations.com. We can edit an existing dissertation introduction chapter or write an entire custom-written chapter according to the customer's requirements. Descriptions of the various chapters contained in the dissertation. In the initial part of the dissertation introduction section, the student should state the general field of interest and the problem that his/her dissertation addresses. The objective is to illustrate to the reader the reasons why a particular dissertation is important. In this section the reader should be apprised of ways in which the dissertation will account for any gaps in previously conducted research. Through effective writing, the reader should be shown why a given dissertation has significance and how it might be useful in the studied discipline. The dissertation consultants of Top-Dissertations.com can be particularly helpful when one is conceptualizing the problem that the dissertation will address. One of our highly qualified dissertation specialists can help any student write this important section of the introduction. Next, the student should provide readers with a brief overview of the study. It should briefly summarize all major research questions. It is not necessary to go into any lengthy detail in this area. An example might read "This dissertation attempts to address the issue of homelessness in urban America and its general affects on American society as a whole". The reader should be informed of what the writer intends to do in terms of research. A dissertation consultant at Top-Dissertations.com can be of valuable service in this area. In the following section of a dissertation introduction chapter, the writer should reveal the significance of the dissertation in general. He/she should briefly write about how his/her particular findings might be applied to a significant problem or issue. This section will help the reader glean the paper's overall significance in addressing the problem. A dissertation consultant from Top-Dissertations.com can help. The last part of the introduction section should contain the information about the chapters that follow throughout the rest of the dissertation. An example might be "In the third chapter of this dissertation, the literature on homelessness in America is discussed" or "In chapter 6 of the dissertation, complete statistical analyses will be discussed". This provides the reader a roadmap of what is to follow. Students who have followed the suggestions above and still feel confused about how to construct the first chapter of a dissertation should ask the trained professional editors at Top-Dissertations.com for dissertation consulting and assistance. Our professionals know how to make the dissertation's introduction chapter flow from one sentence to the next. They can help make it more interesting. They can also make helpful suggestions about how to improve one's writing and how to be better organized throughout a dissertation. Our dissertation specialists are available 24 hours a day and can be contacted by our customer care department. Regardless of the issue that arises with any dissertation, the consultants and editors at Top-Dissertations.com can offer competent assistance.